READ MORE - SEE VIDEO! 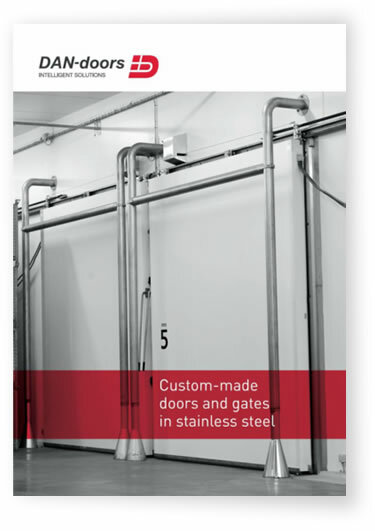 We produce customer-specific doors and sectional doors in stainless steel according to all applicable standards and norms. 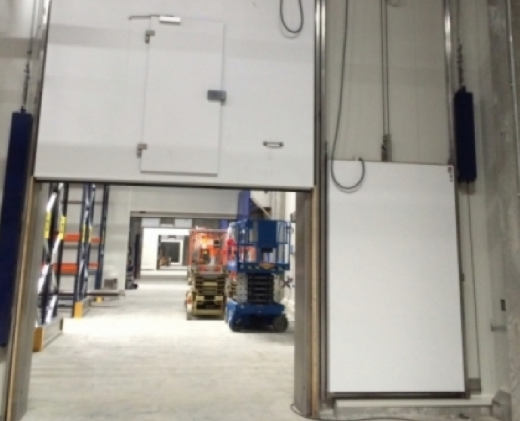 Strong competences mean we develop and produce quality solutions within cold and freezer room and fire doors. DAN-doors supply well-proven cold room and sectional doors designed to meet strict and specific requirements for effective insulated doors. Our products are specially-designed for the food and beverage industry, with surfaces able to meet the strict hygiene standards applied. 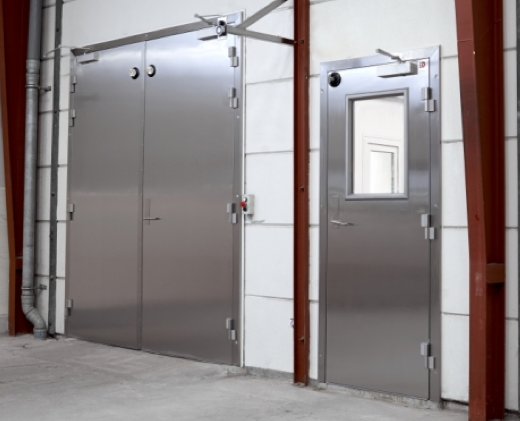 DAN-doors’ freezer room doors and sectional doors are designed to withstand constant rough treatment. That's why we do not provide standard solutions, but adapt form and function to meet market expectations for minimised cold loss and reduction of energy costs. 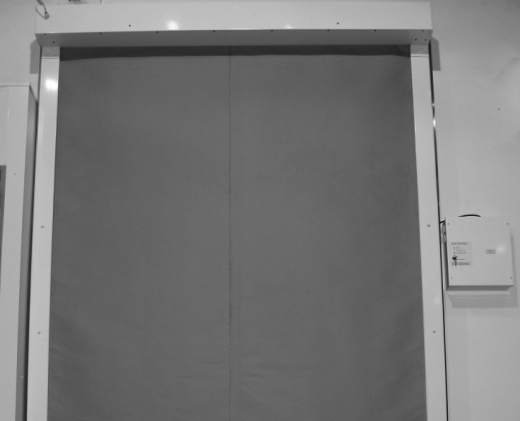 DAN-doors’ fire doors and sectional doors have always focused on functionality and user-friendliness - not least our new range of hinged fire doors, approved according to the new European standard EN-16034-1 and test standard EN-1634-1, giving classification EI260. They combine quality and high standards of craftsmanship with timeless, elegant design. Durability and strength are the essence of our tough constructions, with the emphasis on reinforcing them as much as possible, including reinforced corner and other joints on all models. 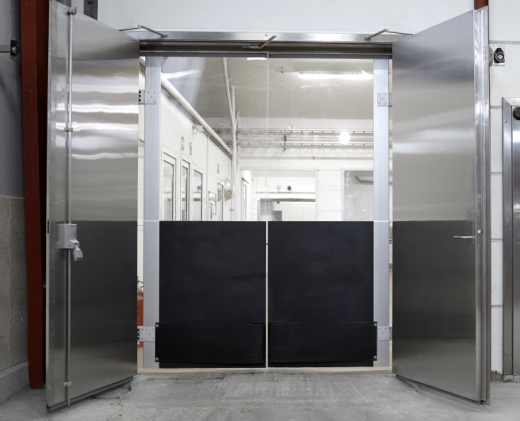 Our industrial doors also meet various specifications within insulation, seal integrity, dust and noise, not to mention them being specially designed for such sectors as food, pharmaceuticals, retail and industry. Advanced production facilities need advanced access solutions, able to contribute to efficient operation at all levels. The best access solutions are automated according to the unique needs of the business with regard to safety, access control and monitoring. 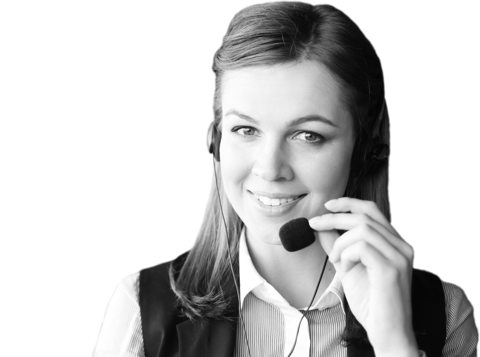 DAN-doors integrate the latest and most advanced technology into our products. That's what makes them intelligent. 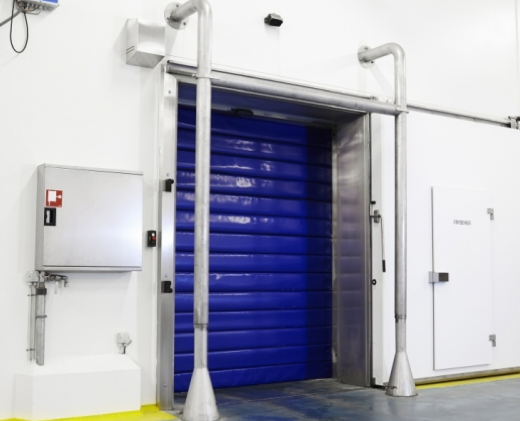 Doors and sectional doors can be fitted with sensors, radar and scanners to ensure smooth logistics flow - and massive energy savings. 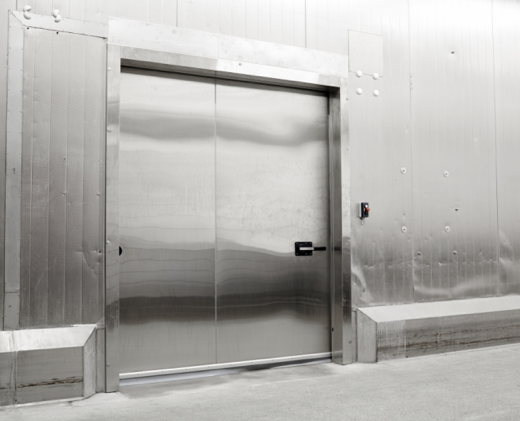 An automated solution from DAN-doors thus helps optimise production and ensure a high degree of safety, even in the most demanding environments. 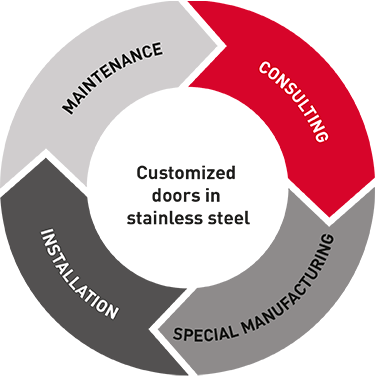 DAN-doors - specialists within the sale of stainless steel solutions for a wide range of industries, environments and functions.